The birth of Sportsklubben Brann took place in September 1908. It was actually founded as both a football and skiing club, and has also organized other sports like ice hockey, womens handball and table tennis. But the club soon developed into one of the dominant sides of Norwegian football, playing in its first domestic cup final as early as in 1917. SK Brann's first national trophy was won in 1923, after defeating Lyn Oslo 2-1 in the domestic cup final. The season of 1961/62 was the first year of a Norwegian national top-league. Brann won the league championship in the first season of the new league-system, and in 1963 Brann proved their dominance and won the league the second year in a row. 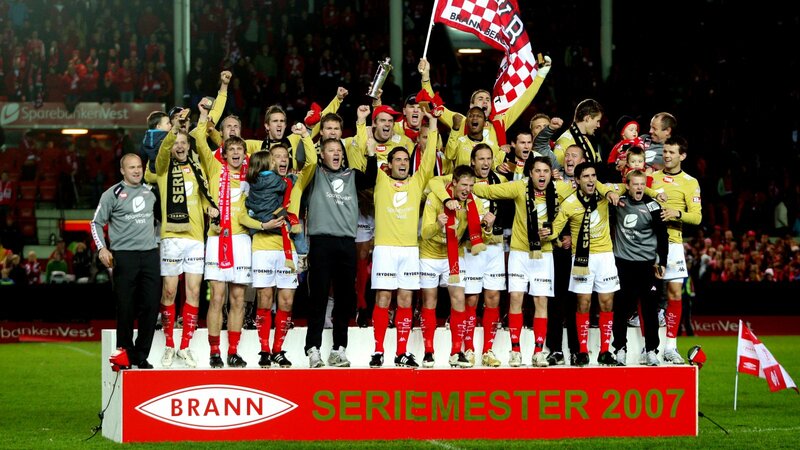 Brann's next trophies were the cup championships in 1972, 1976, 1982 and lastly in 2004. The club has also been runner-up in the Norwegian league in 1975, 1997, 2000, 2006 and 2016. As a losing finalist in the 1995 cup final, Brann qualified for the UEFA Cup Winners Cup in 1996/97. which was Brann’s best achievement in international football until the UEFA cup of 2007/08. In 1996, Brann beat Shelbourne of the Irish Republic in the qualifying round, before knocking out the Belgian cup winners Cercle Brügge and Dutch cup winners PSV Eindhoven in the next rounds. In the quarter finals Liverpool of England emerged as the stronger team and won 4-1 on aggregate, after 1-1 in Bergen and 3-0 at Anfield. Tore André Flo, who left Brann to pursue a successful career with Chelsea, Rangers, Sunderland, Siena and Leeds United, was the biggest star of the Brann team back in 1996, alongside Mons Ivar Mjelde, who later became a successful head coach at the club. 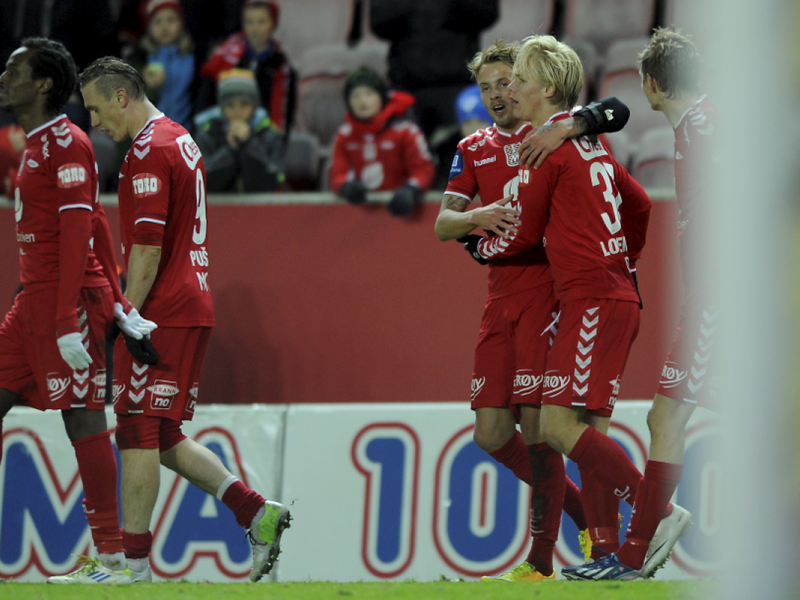 Flo left in the summer of 1997, but the team continued the good form and secured second place in the league, Brann’s first top-three spot since 1976. The club was relegated in 1979, 1981, 1983 and 1985 and always won promotion the following season. Brann played in the Norwegian top league from 1987 to 2015. Brann is one of only two clubs in Norway to average more than 10 000 spectators for every match since 1960. The late 1990’s left Brann in a financially challenging situation and the club had to sell some of the best players and rebuild the squad. In 2002 Brann finished as number 12 in the Tippeligaen, and had to go through a nerve wrecking play off to avoid relegation. Fortunately, the team beat Sandefjord 2-1 on aggregate score and retained top-league status. 2004 was a successful season for Brann, after a couple of seasons battling in the lower half of the table. Brann finished as number 3 in the league and became Norwegian Cup champions. In 2005 Brann finished as number 6 . 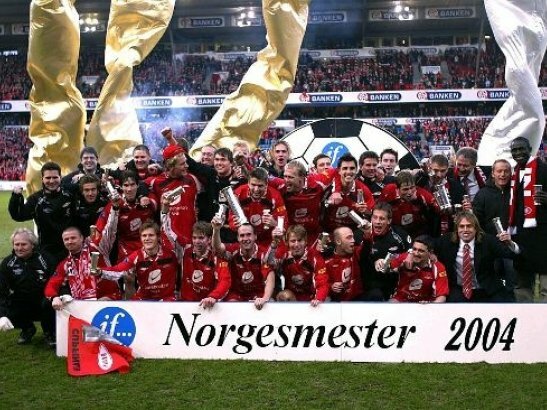 In 2006, Brann were able to build upon the disappointment of the previous season and finished as the first runner up in the league. At the start of the 2007 season, Brann were among the favorites to capture the league title. This time the players were able to cope with the pressure. Strong performances from match day 1 and throughout the season earned the club the trophy for the first time in 44 years, unleashing scenes of celebration hardly ever seen north of the alps. A brilliant chance for the group stage of the Champions League slipped away against Marseille, and in the next eleven league rounds Brann were only able to win 13 points, ending the season as number eight. Branns most successful head coach ever, Mons Ivar Mjelde, resigned at the end of the season. Before the 2009 season, Brann signed head coach Steinar Nilsen (pictured right, below). His first season at the helm was of the mediocre type, with Brann ending the season as number five in the league, and losing to Odd Grenland in the quarter final of the Norwegian cup. Nilsen's second year ended in May after losing 0-1 to third division side Fyllingen in the domestic cup. Nilsen left, and assistant coach Rune Skarsfjord (pictured left, below) took over. 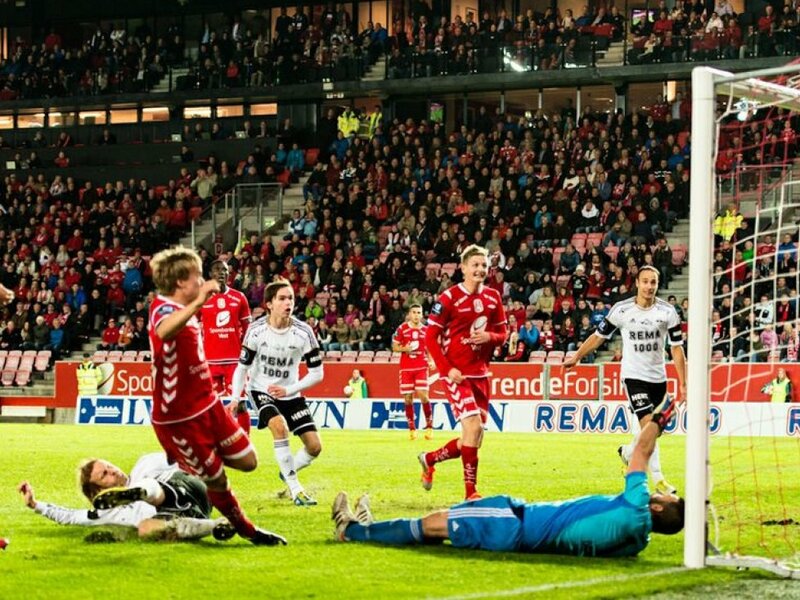 With Skarsfjord Brann avoided relegation, but 13th place was dissappointing for the fans and the club. Stars like Jan Gunnar Solli, Eirik Bakke and Petter Vaagan Moen left the club as Bosman players after the season, and Brann startet to biuld a new squad. In January 2011 Norway international Erik Huseklepp left Brann for Italian club AS Bari. He was replaced by Bentley from Odd Grenland. New names like Kim Ojo, Carl-Erik Torp, Lars Grorud, Fredrik Haugen and Piotr Leciejewski joined Brann. The team surprised both media experts and fans by taking the fouth place in the Tippeligaen. They also qualified for the cup final, losing 1-2 against Aalesund. In 2012, expectations were bigger because of a good previous season, all things considered. 2012 became the year when the club's talented youth players got their big breakthrough and the club was represented at practically every youth international level. The 2012 campaign can be divided into three chapters. A horrible start with many injuries and matches lost, a really good mid term from May until November without defeat at home, and losing to 1. division side Hødd FK in the cup semi final and four straight losses in the final matches of the league. Brann ended 6th in the Tippeliga. 2012 also saw the exit of fans favorite Rodolph Austin to Leeds United, and the return of fans hero Erik Huseklepp. Youngsters Kristoffer Barmen, Bård Finne, Jonas Grønner and Kristoffer Larsen, amongst other youth players, got their taste of top flight football and became the high point of the season for the fans. YOUNG MATCHWINNER: Bård Finne scored twice against Rosenborg. HÅKON LORENTZEN became the youngest goal scorer ever. 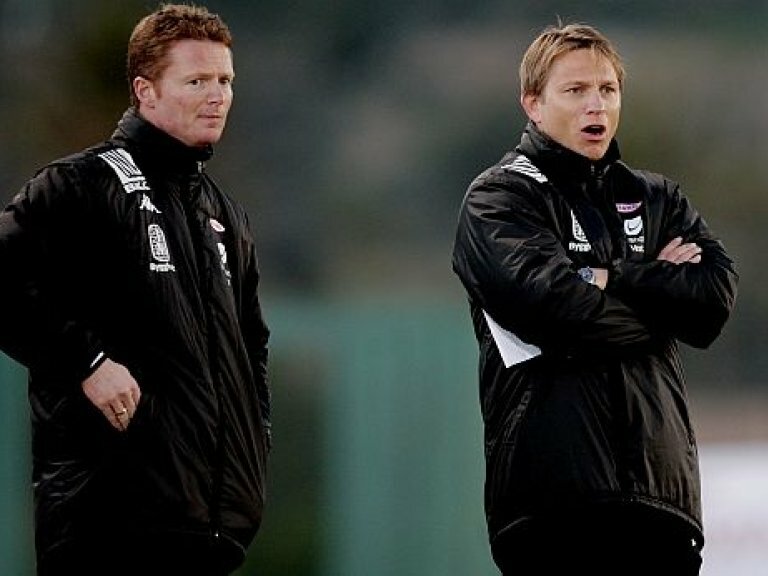 New boss Rikard Norling had taken Swedish side Malmø to the league title only weeks before he arrived at Brann Stadion. The fans expected success, and so did Norling and the management at the club. It ended in tears. Brann was relegated for the first time since 1985. That was the end for managing director Roald Bruun-Hanssen, who had been under pressure for some time. Norling stayed, but only til May 2015. The team struggled in the OBOS-ligaen and promotion seemed unlikely. Norling out - and Lars Arne Nilsen in. To make the story short: Nilsen secured promotion. And in his first season as Tippeliga manager he took the team to 2nd place. The achivement was sensational.